November through March 9:00 a.m. to 5:00 p.m.
Acushnet River Valley Golf Course is a championship golf facility owned by the Town of Acushnet. The course layout is a true gem, designed by nationally-renowned golf course architect Brian Silva. The course features a challenging, yet golfer-friendly layout offering up two distinct golfing experiences. 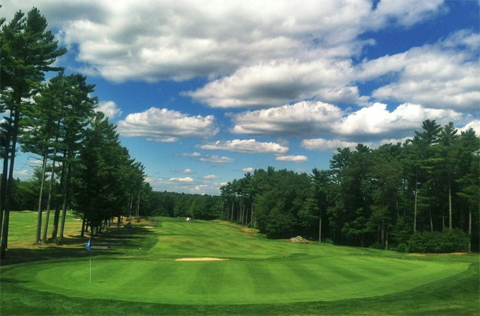 The front nine is cut from tall white pines, giving players the feeling of a stroll through the New England woods. Holes 12 through 17 are open, treeless, links-style holes with rolling fairways and undulating greens. The course also features practice facilities, a golf shop, food, and beverages. The course is open seven days a week from sunrise to sunset April through October, and from November March, 9:00 a.m. to 5:00 p.m., weather permitting. For information, call 508-998-7777 or visit https://www.golfacushnet.com/.